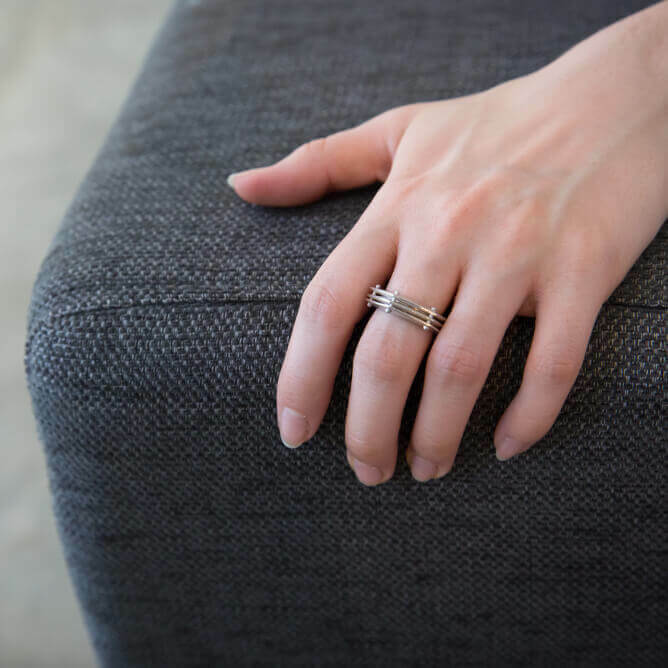 A bold yet elegant ring, with beautiful textured layers contrasted with the burnished edges and polished rivets. 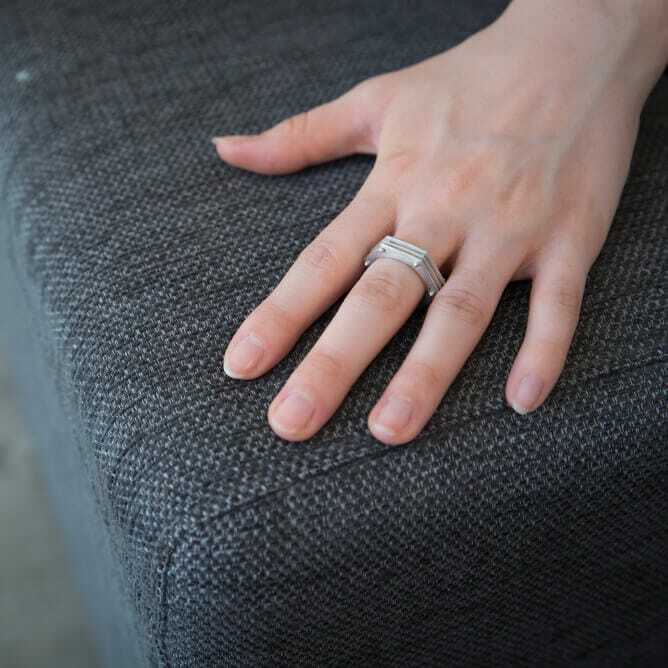 A bold yet elegant ring, with beautiful textured layers contrasted with the burnished edges and polished rivets. With a smooth inner shank, this ring sits comfortably on the hand. A combination of traditional techniques and new technologies were involved in the making process. 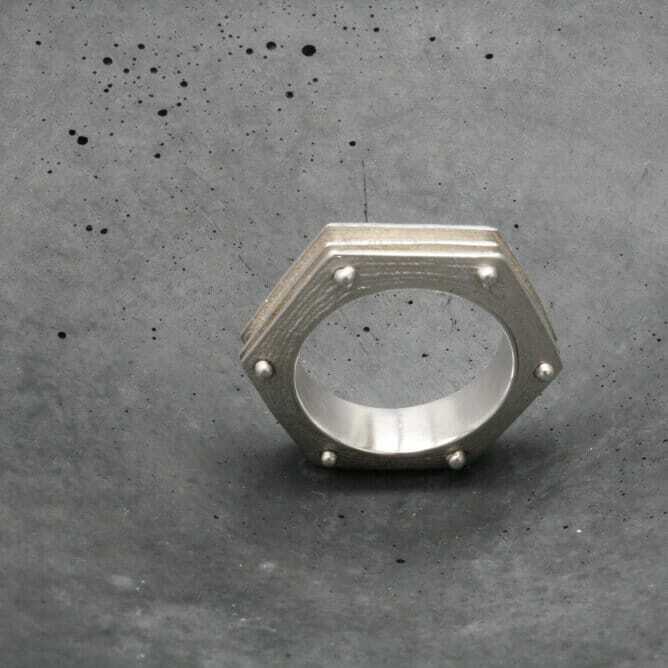 Individually 3D-printed and cast silver units were combined with a hand fabricated shank and rivets to create a bold accessory for any occasion. 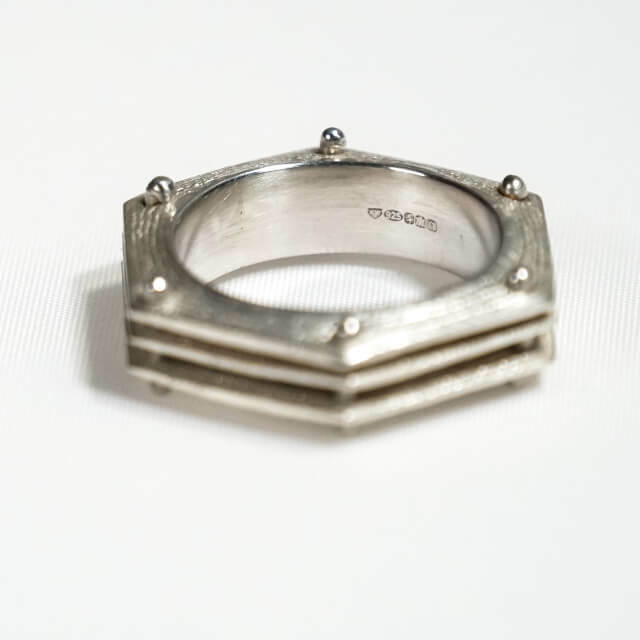 This ring is responsibly produced from recycled materials and is hallmarked. Karen Westland is a silversmith and jeweller who works with recycled precious metals, and other responsibly sourced materials. Karen continually improves her social responsibility, to ensure the standard of her working practice is always growing in a positive way. Throughout her studies Karen has always been drawn to social and environmental issues. The relationship we have with the universe, questions of time and our existence are underlying subjects of her work. 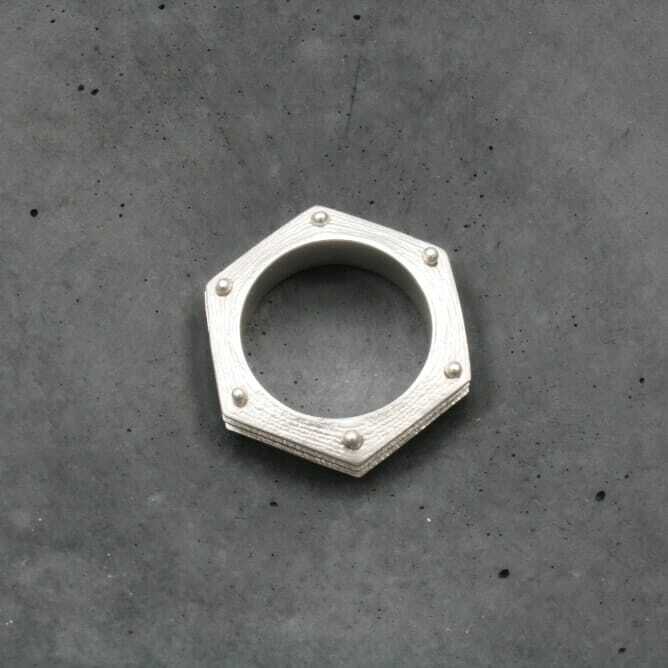 Karen works hard to ensure that her designs are not compromised by the limitations of sourcing responsible materials and processes, but instead are beautiful, innovative designs that break the mould of our idea of ‘ethical’ jewellery and objects.